Hi guys, here are some useful places in Internet which will help you to start learning basics of web tech, HTML5, CSS and JS. It's the worlds largest web developer site. W3School is the one place to learn most of the things related to webtech. It has a huge repository of tutorials about basic html tags,css properties, js, jquery, ajax, mysql, php etc. Tutorials point contains more than basics of webtech. In addition to the basics this website deals with frameworks like angular js, django, flask, content management systems like joomla, wordpress and a lot more. Dash is a fun and free online course that teaches you the basics of web development through projects you can do in your browser. So it will be like creating websites based on some instructions. Basically you will be able to create an awesome web site after doing this course in dash general assembly with HTML5, JS, CSS3. So this are the most helpful links that you can refer for start digging into web tech. After getting the basics of web designing you can start learning CSS frameworks like bootstrap and materialize to make your page more responsive and attractive in simple codes. After conquering the designing part we can move to the most used client side scripting language JS. JS is not only used for client side scripting. It is also used for DOM manipulation which enables us to create dynamic elements in our web page according to some event, like on the click of mouse color should change or the image should change or anything should happen 😊. So JS can be used to render dynamic elements in browser so that the web page will be more interactive. 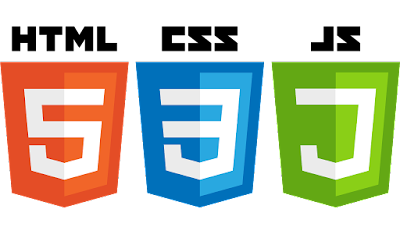 You can learn more about HTML DOM in w3schools. So now you should move to the next level of designing. It's the time to try some animations and effects. So you can just go to tympanus code drops and play with some amazing effects. That's it.. we just traveled a long way through webtech. Finally you can take some rest and continue learning server side working of this whole damn thing..